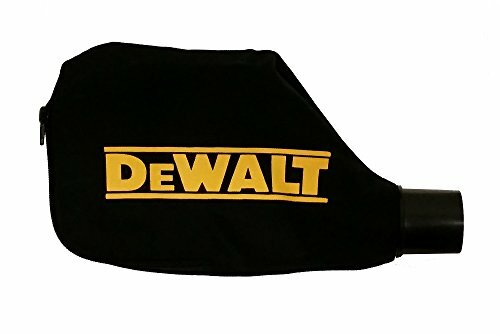 Keep your work area clean and clear for improved accuracy using the DeWalt DW7053 universal dust bag. 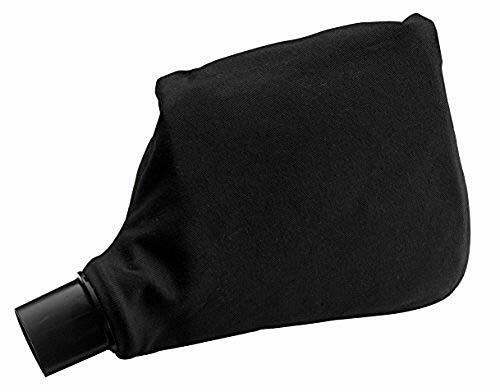 This dust-collection bag is designed to work with all DeWalt miter saws to help you keep sawdust and other debris out of the air and your eyes while you work, along with keeping the kerf clearer so you can see what you're doing as you cut. It's tough to imagine, but this little accessory makes working safer and more enjoyable. The DEWALT DWX724 compact miter stand has a universal design that works with all brands of miter saws. Lightweight aluminum construction (29.8 lbs.) allows for easy transport to and from the jobsite. The 40-Inch beam extends to support up to 10-Feet of material and up to 500 lbs. Legs provide superior support and fold for easy storage and Leg Lock Levers allow for fast and easy set up. Tool mounting brackets allow easy and secure mounting of miter saw to the stand. The work stops/supports can be repositioned quickly anywhere along the rail. Non-marring feet on tool mount will not scratch material. Miter saw not included. Compact design allows easy transport and storage. 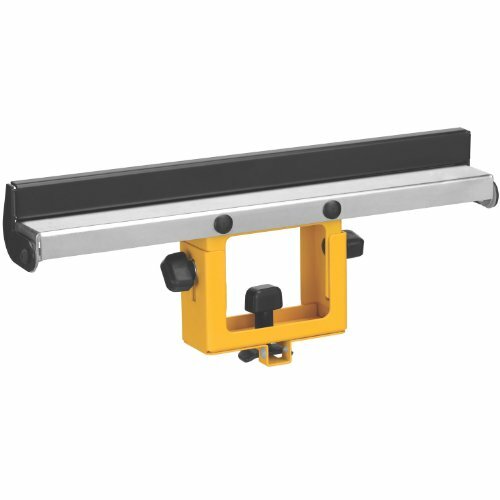 40-Inch beam extends to support up to 10 feet of material and up to 500 lbs. 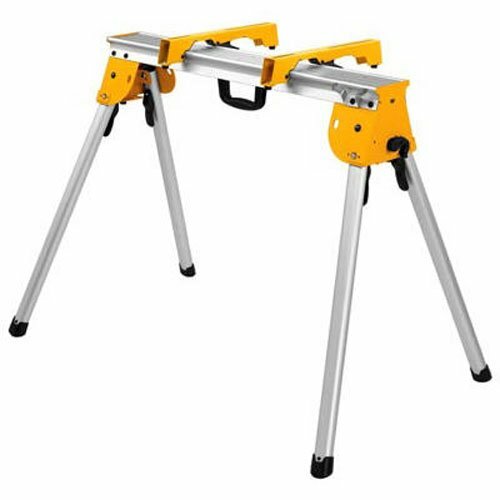 Lightweight and easy to transport, the DEWALT DW7029 wide miter saw stand material support and stop is durable enough to withstand professional job site conditions. 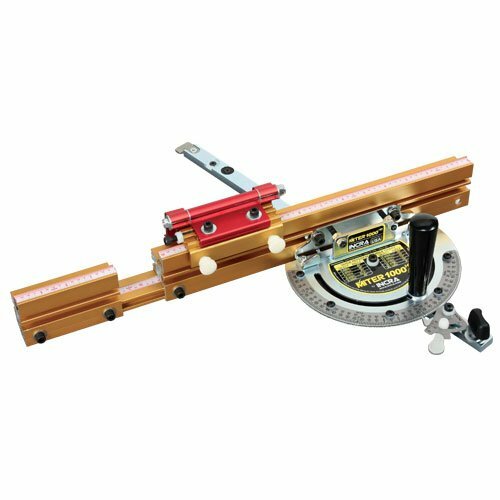 Offering support for wider work pieces when cutting, the 15-inch wide material support has a flip-up stop for fast conversion to a cut stop, and it adjusts in height from 3-7/8 inches to 6 inches to match any miter saw table height. 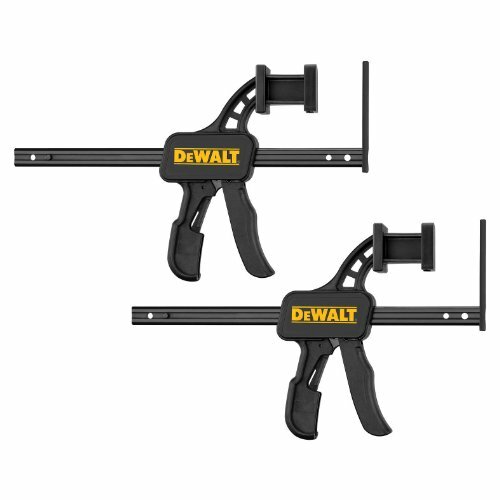 It's compatible with DEWALT DW723, DWX723, and DWX724 miter saw stands. See larger image. See larger image. About DEWALT DEWALT is a leading manufacturer of industrial power tools and accessories, including corded and cordless drills, saws, hammers, grinders, routers, planers, plate joiners, sanders, lasers, generators, compressors, nailers, saw blades, metal and masonry drill bits, abrasives, screw driving accessories and more. DEWALT tools can be found nationally and internationally wherever tools are sold. With more than 1,000 factory-owned and authorized locations, DEWALT has one of the most extensive service and repair networks in North America. 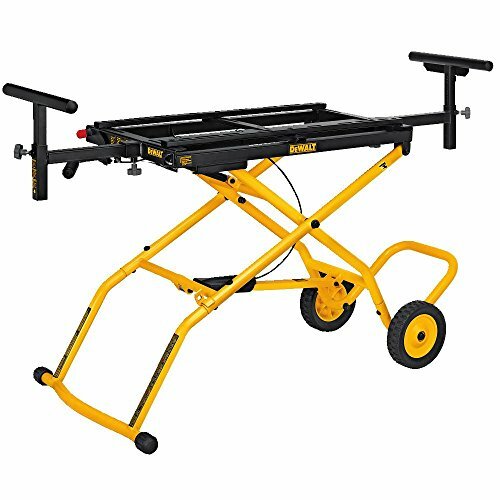 Heavy duty work stand, with miter saw mounting brackets, compact design, 36" wide, allows easy transport & storage, 1000 lb capacity each handles the toughest jobs, lightweight aluminum construction allows for easy transport to & from the jobsite, legs provide superior support & fold for easy storage, leg lock levers allow for fast & easy set up, transport latch allows pair of stands to be easily transported together, includes miter saw mounting brackets allowing use as a tool stand. 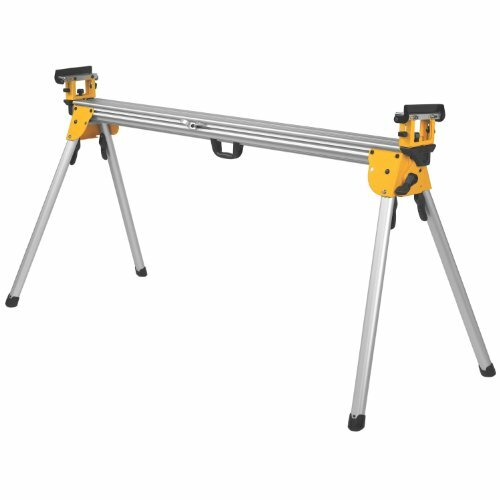 Designed for use with the DW723 miter saw workstation, the DeWalt DW7232 miter saw workstation workpiece support and length stop can be repositioned anywhere along the rail quickly and easily. 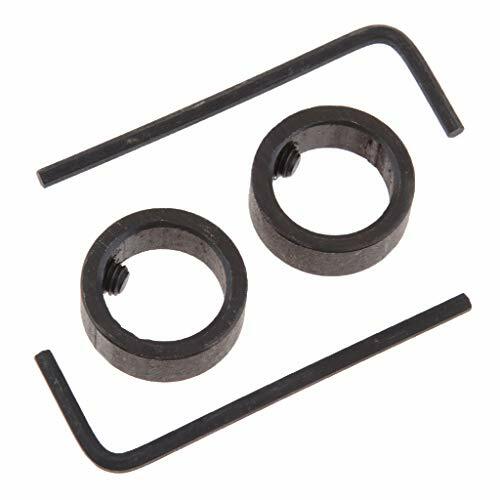 This assembly includes support piece, lock tab, and locking screw. The Rousseau 5000-L eliminates the dust generated by Miter saws. The 5000-L includes wrap around LED lighting that illuminates your work surface with No shadows, thus improving safety and accuracy. Never work in the dark again! 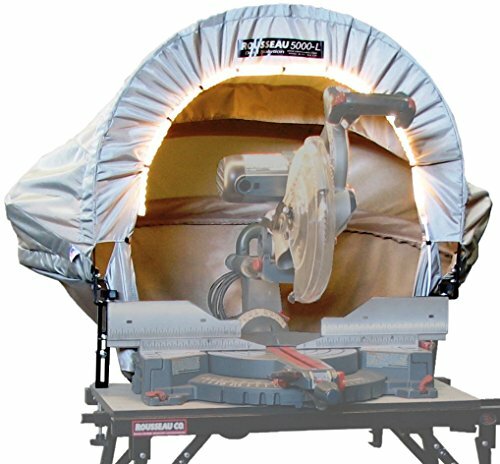 our compact design allows use with all Miter saws at all angles and the hood quickly folds into a handy carry bag for transport and storage. The 5000-L captures the fine dust as well as the heavier sawdust and directs the airflow to the 4" vacuum port. Use in your shop, at the jobsite or in the factory, the Rousseau 5000-L creates a cleaner, healthier and safer environment. Warranty: We offer a limited lifetime warranty...always, to the original purchaser on all products, except electrical and vacuum components, which are covered for one year from date of purchase. This warranty applies to defects in materials and workmanship. In such cases we will repair or replace and ship the part or product at our discretion. This warranty does not apply to defects due to direct or indirect misuse, abuse, negligence, accidents, alterations, repairs, or lack of maintenance. The new INCRA Miter 1000HD is the most refined model yet in the Miter 1000 series. The HD stands for High Definition, because the protractor plate's exclusive Angle LOCK Indexing System has a whopping 180 angle stops in 1degree increments with special stops located at 22.5 degrees. Combine that high-resolution protractor with the industry's smoothest adjustable miter bar, telescoping Incra LOCK cut-off fence & Flip Shop Stop, steel Vernier scale that reads to 1/10 degree, and you've got a winner that will improve the quality of any project. Are you cutting parts for segmented turning? The Miter 1000HD will allow you to precisely set and quickly duplicate any angle you might need, whether it's 18 degrees for cutting 10 sides, 25.7 degrees for 7-sided objects, or anything else imaginable......Six expansion disks adjust both sides of the bar for ZERO side play, low-friction travel on most table saws with standard miter gauge channels, including Delta, Craftsman, imports, etc...Please refer to Incra.com for fit chart before ordering.... An excellent fit in the channel directly transfers the Miter 1000HD's incredible accuracy directly to your project. The Miter 1000's adjustable miter bar will fit square-sided miter slots measuring 3/4" wide, 3/8" deep, and with or without a 15/16" T-slot at the bottom. The miter bar's adjustment range accommodates actual slot widths between 0.740" and 0.765". 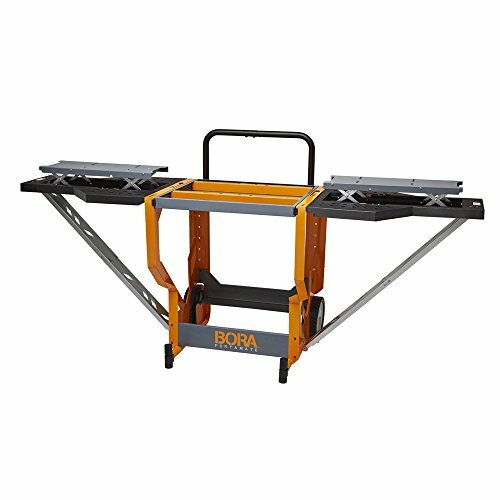 The ultimate Miter saw table/ workstation is here with Bora portamate s portable Miter saw work station. It s a solid, stable Miter saw bench that lets you securely mount your saw for various projects. But the Real magic happens with the features two side wings fold out and Lock into place, turning your 30 saw table into a 60 or 90 workbench. The wings also have adjustable middle sections, so they Align perfectly with your saw s height. And when you aren't using the table for cutting, the center portion flips over and locks, giving you a clear, stable work area, All while your saw stays attached, upside down and out of the way. There are also Dog holes for pegs to help hold your machine in place. Ingenious, right? This work station satisfies every need. 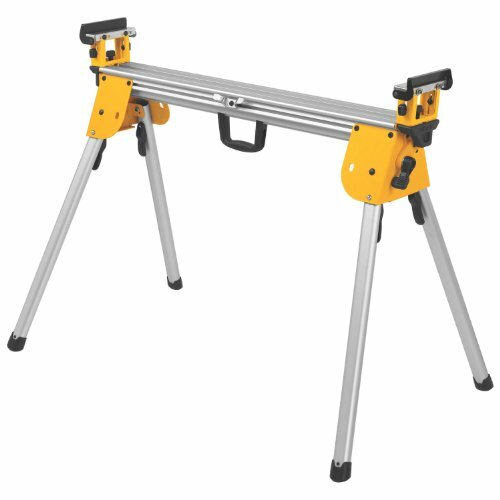 If you need a rolling saw table, It s that. If you need a portable workbench, it s that. If you sometimes need extensions, but sometimes need compact, it s that. And if you want a place to keep your saw Forever, yet still use it for other things, it s that too. Of course, it s fully portable, with 10 locking wheels and convenient handle. The portable Miter saw work station will become your all-time favorite workbench and be a fixture in your shop or garage for years. Get one today! 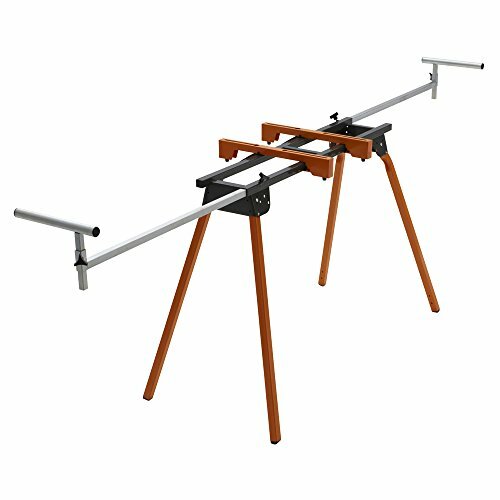 Solid saw stability - easily and quickly mount your Miter saw or other power tools on this super secure saw stand work bench. Saw safely with precision, and without any wobbling or movement. Extendable work space - need a larger work area in your tool shop? Not a problem! The portacube's two 30 Wings can fold outward and lock into place, providing you with 60 or a full 90 Workspace. The collapsible wings include moveable inserts that align level with your saw. 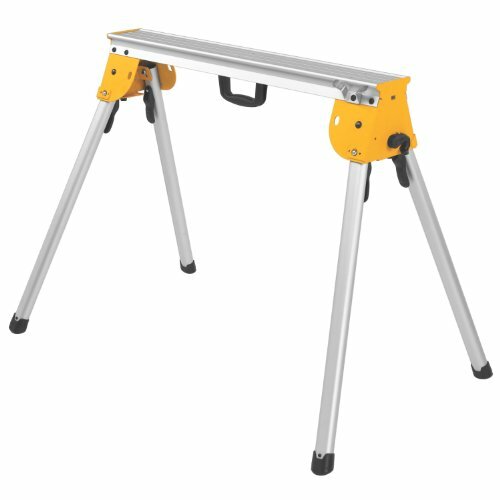 Saw flips away - when not used for cutting, the saw table area reverse flips, allowing the stand to become a full, level table to be used for planning, measuring and working on other projects. When the saw is flipped down, it stays safely attached and out of the way. 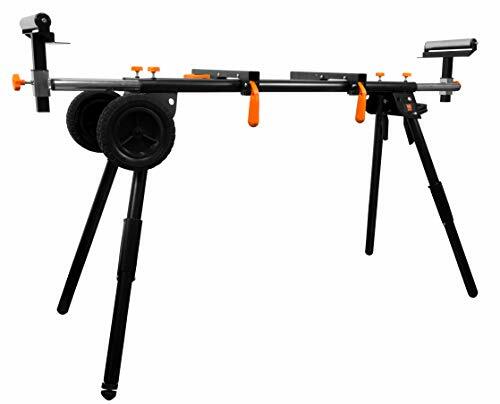 Superb specs - with its sleek Orange and grey design, strong steel structure, and composite wings, this versatile sawhorse brings a modern, clean look and superior functionality to any shop. It has peg holes and measures 31w x 34h x 29 with heavy duty 10 inch wheels. Our 1-year warranty allows you to buy with confidence. Lightweight aluminum construction allows for easy transport to and from the jobsite. Universal design works with all brands of Miter saws. Legs provide superior support and fold for easy storage 5-1/2' Beam extends to support up to 16' Of material and up to 500 lb. (Pound). work stops/supports can be repositioned quickly anywhere along the rail. 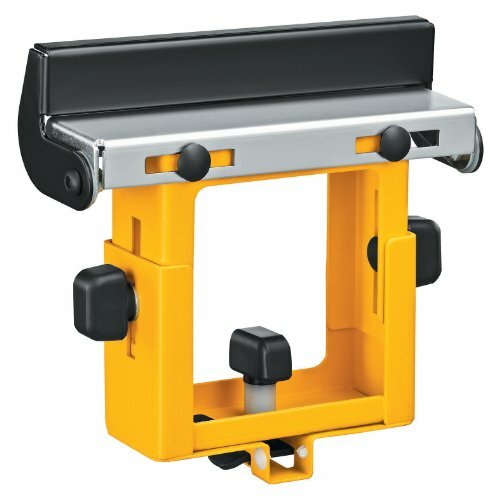 Non marking feet on tool mount won't scratch material. 500 Lb. (Pound) weight capacity. 150" W x 32" H when fully extended, 72" W x 6" H when folded. Includes: 2 Convertible work supports/stops and 2 mounting brackets. This product is manufactured in china. This product meets customer requirement. DEWALT's DWX723 miter saw stand can hold a serious amount of materials with a max capacity of up to 500 pounds. With its 5-1/2 foot main beam backed by extensions that stretch to support up to 16 feet's worth of materials, it's ready to become an essential part of the jobsite. Also, it has an extended length of up to 50 inches with extension lock levers that provide simple but steady locking for the supporting extensions, as well as providing an extra level of impact resistance. Even with all of this, the miter saw stand sets on the scale at only 35 pounds, which means that it's much more portable than a user might expect. One DWX723 miter saw stand, 2 convertible work supports/stops, 2 mounting brackets. 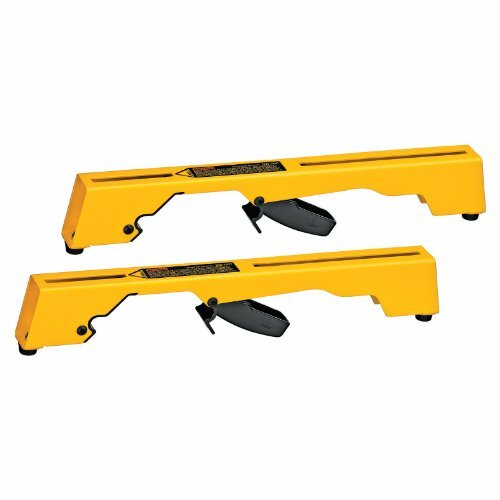 5-1/2-Inch beam extends to support up to 16-Feet of material and up to 500 lbs. Remember when you could adequately support both your miter saw and your workpiece? With the WEN Collapsible Rolling Miter Saw Stand, you ll have a sturdy and reliable support system for all your sawing needs. Three pre-mounted 120V outlets provide you up to 15 amps of power, meeting the needs of saws and tools of all sizes. Two 8-inch never flat wheels combine with foldable design for a safe and easy transportation and storage solution. The sliding arms extend anywhere from 32 to 79 inches in width, providing support for boards up to 10.5 feet long. Quick-release brackets tightly lock the miter saw in place for simple installation and adjustments. 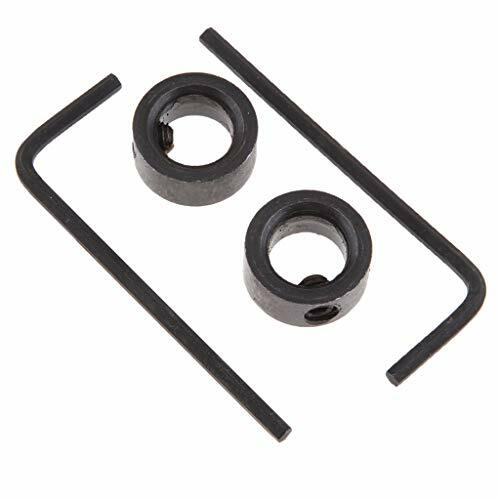 The 1-1/2-inch-diameter steel frame provides over 330 pounds of support to your saw and materials while the powder-coated finish prevents corrosion and marring to the stand s body. Adjust the height of the detachable rollers to best match the specific requirements of your project. Both rollers also operate as work stops, helping make consistent and even cuts every time. The universal design allows for compatibility with the majority of miter saws on the market, including the entire WEN miter saw series. If you want to know whether or not your particular miter saw will fit onto the WEN Rolling Miter Saw Stand, simply measure the distance between the front and back mounting holes. If this distance is less than 15 inches and on a centerline, the stand will fit. And because it s a WEN product, your miter saw stand comes backed by a two year warranty, a nationwide network of skilled service technicians and a friendly customer help line all to make sure you remember WEN. Improved for 2019, expanding the versatility of the Kapex sliding compound miter saw and UG extensions, the Crown Stop supports nested workpieces at any angle and provides enhanced material support to the left or right of the saw. Only compatible with KA-UG extensions, sold separately. Includes two (2) crown stops. 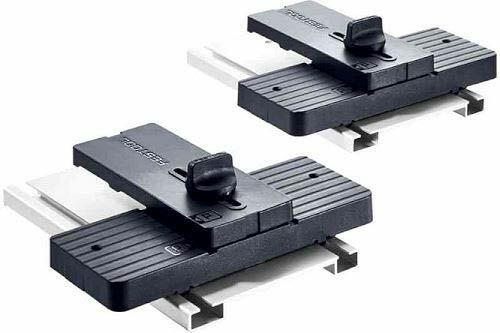 SUITABLE FOR Our miter track stop is suitable for woodworking, and goes perfectly with 45mm standard t-track. USE CONVENIENT Our limit with ergonomic design is very convenient to use, and the stopper can be locked. GOOD HELPER The miter limit can help limit the length of the chute. 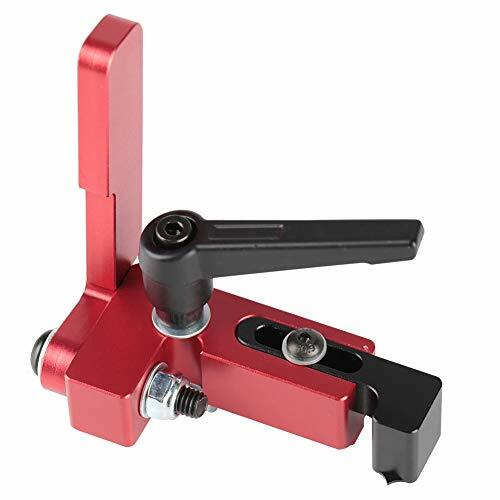 PREMIUM MATERIAL The miter track stop is made of premium aluminium alloy which is durable, and has a long service life. HIGH QUALITY We guarantee that all of our length limit devices are 100% brand new and has high quality also durable enough. - This size can be made to fit most tools with replaceable brushes. This size can be made to fit most tools with replaceable brushes. Miter Track Stop for 45mm T-track. 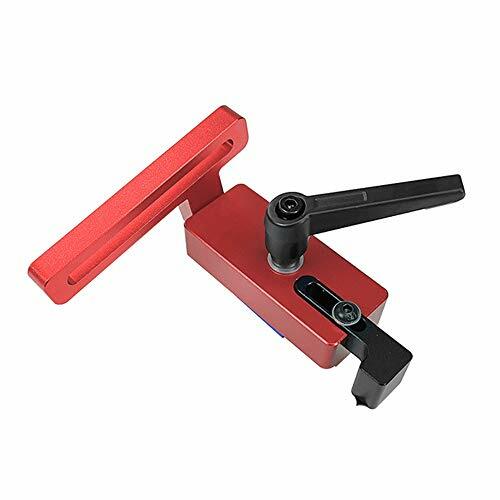 Material: Plastic + Aluminium Alloy. Brand new and high quality! This stop goes perfectly with 30mm and 45mm miter track. You can use it to build your own miter fence with stop. 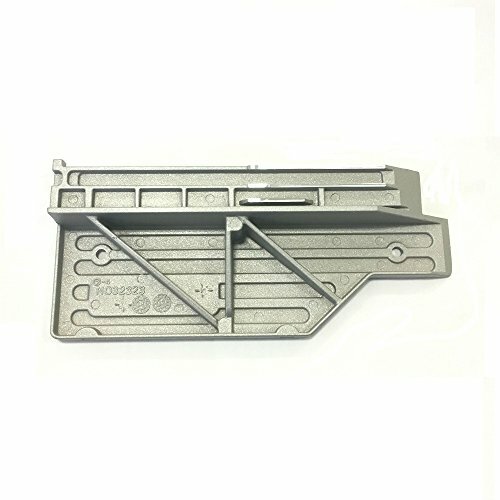 Perfect for woodworking, suitable for standard t-track. Ergonomic design makes it easier to operate. Very easy to use, and the stopper can be locked. This multi angle scissors adopt premium blade through quenching treatment for sharp cutting without burr. Sharp blade with 45 ~135 cutting angle, free to cut the trunking to different shape when needed. Very high-efficiency and accurate miter shear designed for cutting rubber strip, plastic strip, chamfer, shoe moulding, PVC piping, quarter round, trunking and wood parts for carpet, edge band, etc. Fine quality replaceable blade with quenching treatment, sharp cutting & no burr, also easier and faster to replace the blade. Large opening design for wider shear range with more smoothly shearing and more comprehensively cutting. With clear scale adjusting disc for easy angle adjustment and accurate cutting. Safety lock buckle design for convenient storage and safe carrying. Anti-slip and longer handle is easier to use and hold tightly, more suitable for people with big hands. Diagonal saw cabinets are made of high quality plastic. The box can be fixed in one place with free hands or attached to a work surface for additional support. Do your own remodelling and decorating. Just put the wood in the box and arrange it according to the required measurements and cutting angles. It is a perfect partner for DIY enthusiasts or experienced woodworking, including room trim, skirting, baseboard, shell and more use of this easy-to-use setting. The joint of furniture, corner skirting board and so on. 1. Use 4mm self-tapping screws to fix the vise on the wooden surface to prevent sliding to ensure cutting accuracy. 2. 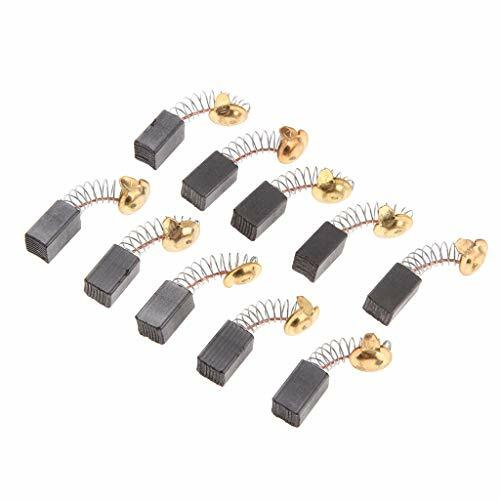 Choose the right fastening method and cutting position. 3. Adjust the clamp fastening position to confirm the positon of the wood. 4. Press down on the trigger, then cut. 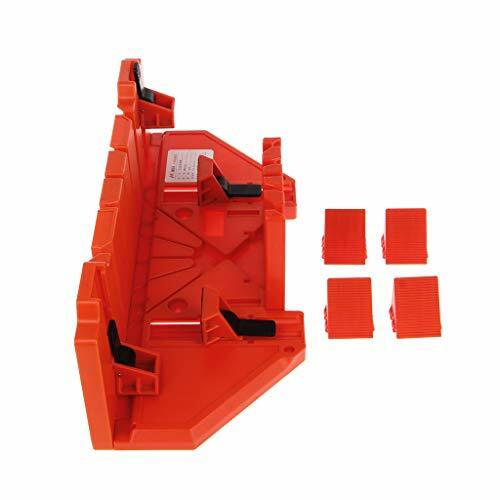 Diagonal saw cabinets are made of high quality plastic. Do your own remodelling and decorating. It is a perfect partner for DIY enthusiasts or experienced woodworking, including room trim, skirting, baseboard, shell and more use of this easy-to-use setting. The joint of furniture, corner skirting board and so on.